We've been seeing a steady stream of leaked images and rumors about the next generation of Google's Pixel phones. But, until now, we've been left to speculate on the specs of the Pixel 3 XL. Its benchmark results listing has finally emerged. In this week's poll, we want to find out what you think of it. From the leaked photos, renders and screen protectors, it looks like we can expect a notch on the Pixel 3 XL and no dual rear camera, which leaves me disappointed in the design already. Now that we have some more concrete info on the performance and specs from the Geekbench benchmark results listing, the device seems even less compelling to me. Here's the skinny: When it comes to the SoC, the Pixel 3 XL will be packing the logical upgrade, as we expected. In addition to a Snapdragon 845 processor, it will come with 4 GB of RAM. Some may be disappointed not to see 6 GB, but others may deem anything over 4 GB in this day and age overkill. In any case, Google isn't reaching for the stars when it comes to RAM. What do you think of the Pixel 3 XL so far? What do you love or hate about the Pixel 3 XL so far? Let us know in the comments. Let be honest, Pixel devices were never about the hardware. Pixel phones get better pictures with one camera than most other phones do with 2, so being disappointed for lack of dual camera is silly. Do you only care about numbers of the paper of the actual end result? Same with ram, what matters is the software on top and the ram management. Pixel phones are often smoother and snappier than most 6gb phones. 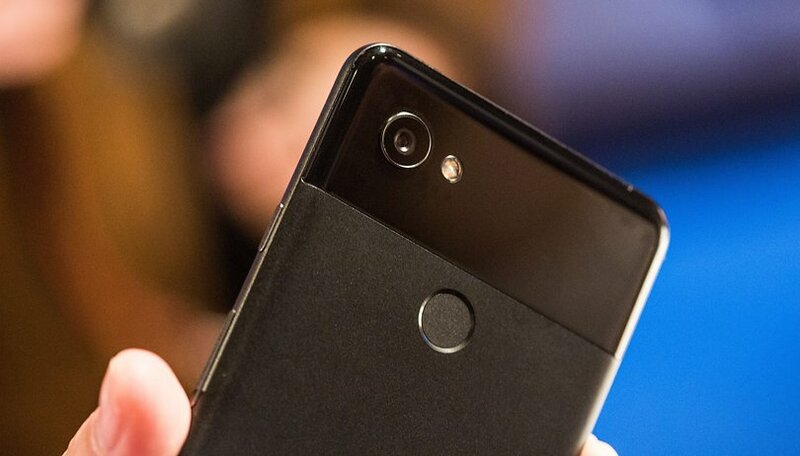 At the end of the day, Google excels at software, and unless something like headphone jack or notch are a complete deal killer for you, we can't make up our minds about these phones until we see the full software+hardware package. 2019 is set to be a special year for technology, with 5G happening, Qualcomm challenging Intel and Microsoft re-entering the fray with foldable tablets. So why jump the gun? One reason would make it worthwhile - if Translate and Pixelbuds lead to a real leap in multi-language fluency. Let's see the presentation to see if this is real, or just smoke and mirrors. I'm in the NOPE category for one reason and one reason alone. The same reason I wouldn't buy ANY of the new phones. PRICE. It's silly, that phones with basically nothing more than brighter displays, faster processors, sometimes multiple cameras and flashy designs, continue to INCREASE in price. Considering that unless you have a google, essential or maybe the Oppo OnePlus phone, you'll never see a major update, you might as well save your money, buy last years next best thing, at a greatly reduced price. Every smartphone Google has put out is quickly crowned that years "Android smartphone of the year" (followed closely by Samsung's flagship), I have faith that Google has the desire, budget, and knowledge to keep that trend going. No need to scrutinize every little design decision. Google is doing that for us, I'm sure. There are teams and teams of engineers thinking about every single peice of the devices' hardware and software. And it will be great, I have faith. Now, if it's worth the upgrade from a Pixel 2 to the Pixel 3? That's a decision unique to you. For some the answer is yes, for some the answer is no. For me, I am 100% sure in my decision to reserve it the day pre-orders open but I am upgrading from a Pixel 1 (I hold on to things a little longer than most). If I had a Pixel 2, I know myself enough to say I would NOT be upgrading. But either way I'm absolutely positive that it will be the best android smartphone to date and will be a great device. And please don't take that as a diss against Google Pixel (I tend to stick to a budget, pick devices which offer decent specs, pay for an affordable monthly service that's no contract). I usually buy LAST YEARS model. Any hardware bugs should be gone as well as software bugs. Since it's android, most won't see updates anyway, and, android has been very stable for me since JB 4.3 (save for 4.0 kk). Better value for my money. 142%?, strange poll when the majority both want/may want the Pixel 3 and at the same time the majority do not. Anyway I want to try these Pixels, I've heard good things about it and I'm kinda bored of Samsung and my Galaxy S8 now. I have recently purchased a different brand with higher specs. Loved my Nexus 5x but pixels are a little expensive so bought a different brand when my Nexus died. I don't know why people are Trash Talking the Pixel Phones. I have the Pixel XL #1 and haven't any problems with anything with this phone. I had always been a Motorola phone person until they let me down. I'm glad I own a Pixel XL and am ready for Pixel 3XL to come out. There phone is Better quality than a lot of others. Shouldn't Samsung compete with a fast and smooth OS that gets timely updates as fast and for as long as the Pixels do? what a stupid, stupid, stupid design. I'll still get it because i like having beta versions of Android in its purest form... but if that's Google's way of getting customers all the while making stupid silly asinine designs then slowly I'll start backing away. I'd rather the battery life that comes with 4gb of RAM, I don't need to keep a whole bunch of apps open at once, and front firing speakers instead of the iPhone style. The notch idea is dumb though, I'd rather have some bezel top and bottom for speakers and sensors. I will definitely turn the notch off if I get this phone. The Pixel XL and Pixel 2XL were both easily available 6 months after launch with a $500 discount. The first two generation Pixel devices had poor build quality and design and were priced at launch at twice what they should have actually cost. They also have a very high rate of complete hardware failure and serious hardware problems that are unacceptable for phones in the flagship price range. Don't be fooled by the snow job typically provided by the tech press for Google phones--Pixel devices are simply not worth the money. Poor build quality? You are surely joking. I have the P2XL and nothing about it is poor quality. The market is much more interesting at half the price point. Good performance, but weaker cameras. Or buy last year's flagship at a big discount. Current flagships have become a prestige or luxury item and far from a necessity even for power users. Only time will tell if it'll chellenge the Blackberry KeyTwo for best phone of the year. Definitely, pixel 3 and 3XL will be, just like a midrange phones !!! Why ?!? There are many reasons, and the most important thing is that if Google wants to make the best phone, then it's definitely not enough only .., the software and the camera !!!! Design, screen, hardware in the phone, sound, etc ..., etc ... everything has to be the best, or .. then you will not have a good phone, and a big sale. It can talk about that, who wants anything, but a small, very small number of devices sold, clearly enough indicates whether Google is on the right track when Pixel is concerned. I personally, I would never buy, for so expensive devices with such a bad screen, and so ugly and funny looks. I had a Nexus 5 phone, it was good, not the most beautiful, but it was cheap. Now I have Htc U12 +, an extraordinary phone, I'm completely satisfied. Software, hardware, design, everything !!!! And yet another review, on some comments, that the pixel has a good processor, and at the beginning, it's all flying and running very fast, but later when you install all app,s or the software you need, how does it work after a certain time, a couple of months or a half a year? That's the question ...?!? I would like 2times Optical Zoom an more ram like 6 gb over they ten to slow down the more ram will help with that I hope they a paying attention to the people who are going to buy there phones cus apple dont care that why I won't ever own another apple product . No dual rear camera disappoints you? Why? You just awarded the Pixel 2 the best camera award, and it's a 2017 phone with no dual camera. What makes you think the Pixel 3 will be worse than the Pixel 2?